Say hello to my cartoon sea turtle, making his way through a coral reef on the look out for some tasty little jellyfish for his tea! 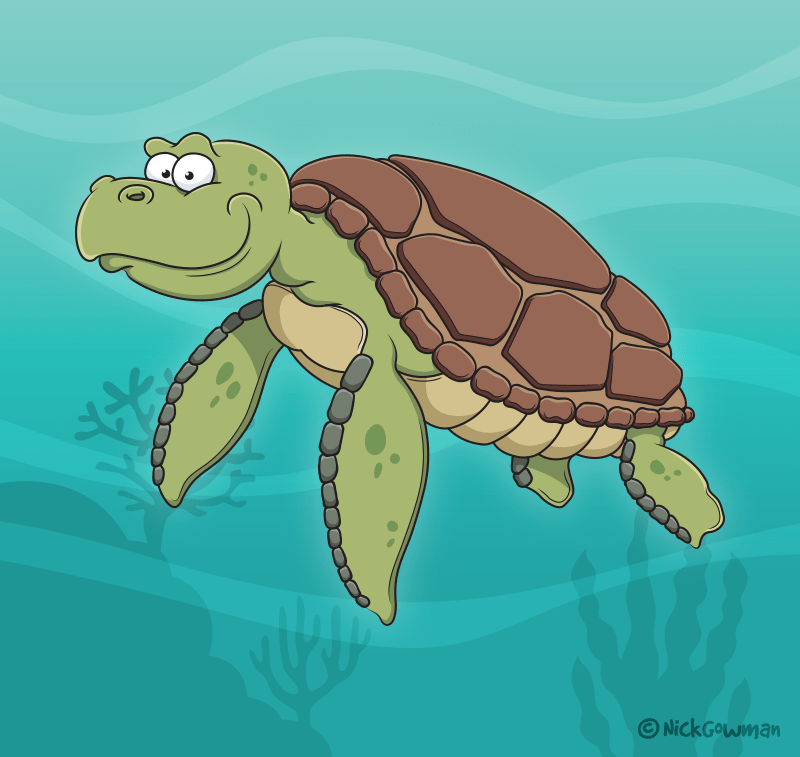 This cartoon sea turtle was created firstly as a pencil sketch, before being fully digitised as a vector illustration in Adobe Illustrator. This one was especially fun to create, with the various shades of green and brown being used to build up his body and shell. The final touch to bring him to life was to include a marine-themed backdrop of waves and corals. This ocean faring cartoon critter would be very at home swimming alongside my cartoon dolphins too!